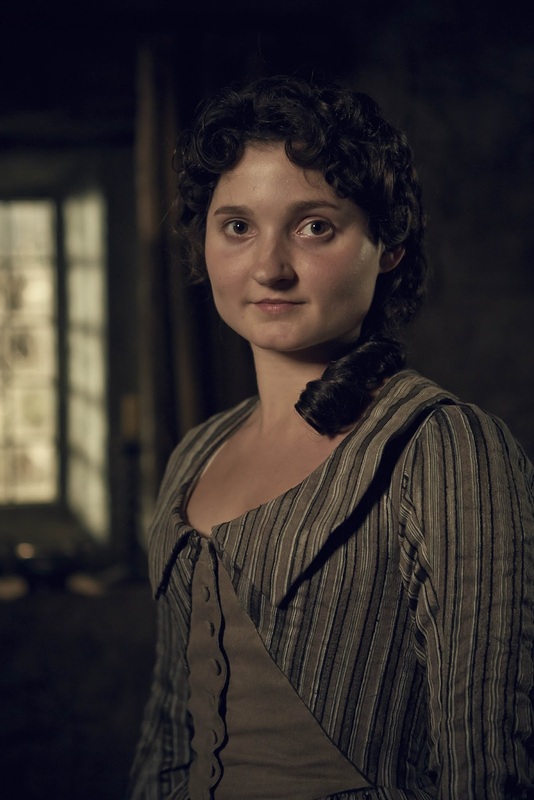 Ruby Bentall talks to the BBC about playing Verity Poldark, her relationship with Ross and Demelza and how she made the most being in Cornwall. Ruby Bentall believes her character Verity is the most straightforward and good natured member of the Poldark family. "She’s got a massive heart and is a very kind and caring. She gets treated quite poorly by her family who don't seem to recognise what a great person she is and take advantage of her kindness. But she does also have great strength at times,"
"When Ross arrives home unexpectedly from the war she hasn’t got any other thought in her head apart from 'He’s alive!' While everyone else around the table is thinking about how his return will complicate things, Verity’s the only one that just has this pure happiness to see him. They have a better relationship than she has with her brother, Francis, so for her it’s like her brother coming home." Why are Ross and Verity so close? "I guess it’s just who Ross is. He decided to treat her more like an equal and she responded to that by thinking he’s the best person to hang out with. He’s on her side, whereas she feels her brother isn’t. "It could be really hard for women in those times. If you didn't find anyone to marry you would end up a spinster in Verity's case looking after her father for the rest of her life which would be a pretty miserable outcome. Especially in somewhere like Cornwall where there was limited choice and Verity doesn't have the confidence or beauty to sell herself." And Verity is quick to befriend Demelza and welcome her into the family? "That’s just her personality – she’s not quick to judge, she’ll let someone talk, she'll listen and make up her own mind. She’s just a very reasonable person. She loves Ross and wants to see what Demelza’s like and understand why he likes her. Verity is very rational, she’s not quick tempered, and is much cleverer than her dad and her brother in that way, even though she is less educated. 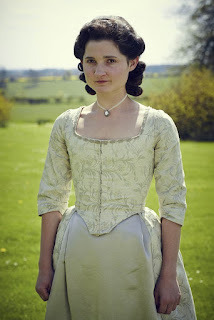 "I really enjoyed the scenes where Verity teaches her about etiquette and how to dance. Once she gets to know Demelza and understands that she needs help, she is there to provide it. It's in her kind nature to do that, she enjoys helping people. In the end it turns out that Demelza helps her as much as she helps Demelza, so they get quite close and have a really nice relationship." What were the biggest challenges for Ruby filming Poldark? "I seem to have the pain of corsets in all my roles. You can see why women couldn't do anything in those days because everything was such hard work - walking upstairs, lying down, eating! You look nice but it is so impractical. "Riding side saddle was really hard as you have no support, you can't grip with your legs as they are just lying there! How women used to go hunting and jumping I don't know - practice I suppose. "I rode a lot as a kid but have never ridden for a job and there was one point when Aidan and I were on our horses waiting for a shot to be set up, looking over a cliff with the sun shining on the clear water and it was the most beautiful place in the world." "I went swimming in the sea every day and if I ever had a day off I would go for massive walks along the cliffs in Treglos, or to St Michael's Mount in Penzance. We had such amazing weather."